Optical fiber cables transport data packets by passing light through the glass core. When there is no data being transported, their fiber is dark. The absence of light means the fiber is dark. That is how the term Dark fiber came up. Dark fiber is a good network infrastructure: that is, idol cables, repeaters, and switches. Where Do You Find Dark Fiber? When major companies are setting up their business networks, they overestimate the amount of networking infrastructure. The companies often wish to future-proof the system in case of a need to expand the network. The infrastructure may refer to abandoned networks existing in buildings. Dark fiber is available in urban and suburban areas where the company installed it with the hope that there would be an increase in demand and thus there may not be a terminus for dark fiber for it is not found everywhere. Dark fiber is becoming popular due to the increasing demand for faster internet connectivity. Organizations that are running applications that require a lot of bandwidth have a choice of ordering a fiber-based service from a carrier or rent bandwidth. Installation of fiber from the carrier is costly and takes time, and your company may not get permission to lay the fiber cable in a specific area. It is such reasons most people opt for dark fiber. Traditional telecommunication services like Ethernet over copper have low bandwidths. Dark fiber carries large data, and the amount currently in the market can double due to new technologies. Dark fibers offer a lot of flexibility to the client. A client has access to an entire wavelength, and they can use different protocols to serve the company needs. Fiber is location sensitive. A fiber cable may be running on one side of a road but not on the required site. The company may not get permission to construct new fiber connections. High throughput and high bandwidth. 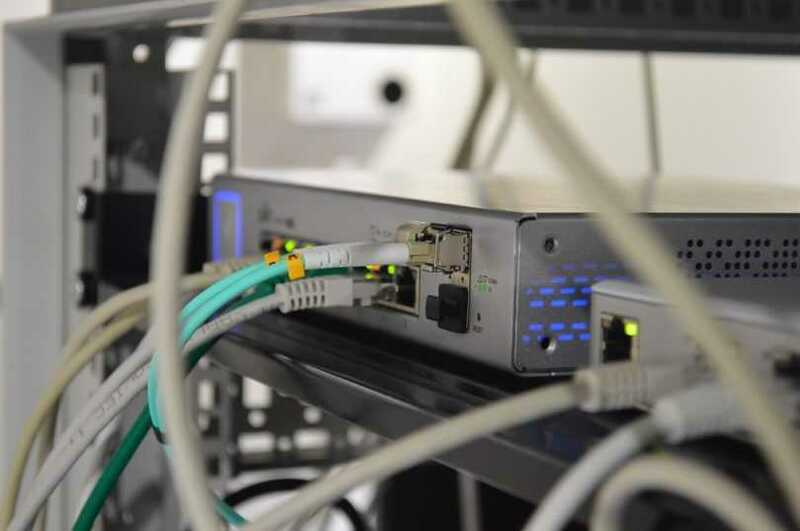 Dark fiber is only convenient in places that the infrastructure can connect directly to the terminal equipment like a router with no additional hardware. There are very few situations where such an ideal condition exists. Although most dark fibers are in abandoned buildings or the suburban areas, the dark fiber may also cover long distances like a metropolitan area. In other instances, dark fiber runs undersea and cover very long distances. Like any other network that includes a much longer distance, there will be a need for repeaters to boost the light signals. The repeaters or amplifiers will require maintenance often, and that translates to extra cost. Some clients control the operation of the leased network and others give the total customer control of the system. At each end of the network, there are equipment’s that require maintenance and management. Besides, there are also service agreements and other features that aren’t optional increasing the cost of the service. If you are a small business and require a bandwidth of less than 1 GB, lit services will be a better option. Lit fiber services will turn out to be cheaper for a small company. The network will not have fault-tolerant protection. The company will need to purchase another dark fiber path to prevent connectivity failure. Moreover, since the fiber is point-to-point, the network isn’t future-proof. When considering dark fiber map the company needs with the pros and cons of dark fiber to choose the best connectivity option.